Great content is what separates the winners from the losers when it comes to online marketing. It boosts SEO rankings, generates traffic to your website, and builds your authority as a brand. But it’s hard to write truly great content! And it’s easy to fall into the trap of writing not-so-great content, just to fill space or meet your content production goals. The problem with taking the easy path is that, over time, your best stuff gets buried under all the clutter. That’s where the Marie Kondo method can help! Marie Kondo is a Japanese organizing consultant, author of “The Life-Changing Magic of Tidying up: The Japanese Art of Decluttering and Organizing”, and the host of a very popular Netflix program. Devoted fans rave about how Kondo’s approach to tidying transforms lives. I must admit that I haven’t tried to follow her housekeeping advice. For the most part, I am a tidy person. Plus, I have a brilliant professional cleaner who auto-adjusts my house every Thursday. Note to working parents: If you do only one thing for yourself, hire a cleaner! I am a digital strategist and online content creator. Kondo’s book appeals to me because I love her guiding principles. Making conscious choices that align with your values and feel “right”. These are the same guiding principles I employ when working with entrepreneurs and business leaders. So if you want to take your website to the next level and produce consistently great content, it’s worth adding Marie Kondo’s book to your business reading list! For those of you who favour the ‘Cole’s Notes’ approach to learning new things, here are 10 Marie Kondo lessons. Each is a pearl of wisdom guaranteed to help you tidy your existing content and move forward with confidence! Instead of working on one room at a time, Kondo advises you to start by tidying your clothing, then perhaps your books, and so on. The category approach lets you clearly compare apples-to-apples. The process of sorting through similar content items will help you identify your preferences and learn more about what “great content” looks like to you. Kondo encourages you to consider the “feelings” of your belongings. The fancy word for this is “anthropomorphism”. It’s when you attribute human traits and emotions to animals and objects. Like when a child worries that their teddy bear will be sad when they leave it alone on the bed. The idea made me roll my eyes at first but eventually I figured out what she was going for. Thinking of objects in human ways renders those items worthy of greater care and consideration. In the context of your website, a beautiful photo does look miserable stuck in the middle of a poorly written page, surrounded by jargon and rambling statements. And one might imagine the same photo would be happier as the featured image of a beautifully laid out page, complimented by an eye-catching headline! Kondo is firm when it comes to discipline. You need to keep yourself on task. Stay focused on the category you are working on and the act of tidying up. In the same way home owners become distracted by photo albums filled with memories, you will waste time and energy if you veer off track. Let’s imagine you are working on the category of “blog posts”. You find yourself reading a piece you created after attending an industry event. It reminds you that you haven’t been networking as purposefully over the past year. An hour later you are googling “promotional products” and mentally debating the value of customized pens versus keychains. Distraction is your enemy! Focus is your friend. Kondo advises you not to show family members all of the things you are discarding because they will ultimately try to convince you to keep items you had already decided to ditch. In the same way, your business “family” is likely to be protective of certain content items. For example, the person who crafted the content for your website pages is apt to defend their choices, as is your video producer, sales and marketing team, social media folks, etc. It is best to limit the number of voices in your head during the “purging” phase. Bring the “family” back in afterwards. By that point, you will have a stronger idea of your likes and dislikes, the gaps in your remaining content, and how you want to move forward. You will be better equipped to describe “great content” and provide the guidance and instruction necessary to make sure you get exactly what you want. On her television show, you can see people becoming happier as they discard all of the meaningless clutter and create beautiful spaces filled with meaningful items that bring them real joy. There is no better feeling than having a sense of pride in your accomplishments and in your organization. As you clear away all of the content that doesn’t make your eyes light up, you will start to feel lighter and more optimistic. AND you will re-connect with great content that you had forgotten about! Once you have discarded things, it’s time to figure out where to put the items that remain. When it comes to your household, Kondo comes up with some out-of-the-box options. For example, she encourages people to re-consider what hangs in a a closet versus what may be better off folded in dresser drawers. Those awesome testimonials from happy customers don’t have to live forever on a “testimonials” page. Maybe it would be more fun and more functional to have them scattered across multiple pages. Or use them as headers! The amazing blog post that included a helpful checklist could become a free download to encourage sign ups for your email opt in! That explainer video you like so much might merit a higher position on your “features” page! Kondo’s idea about folding items in dresser drawers sounds so simple when she explains it, yet most of us wouldn’t think of doing it that way on our own. That’s what makes her an expert! 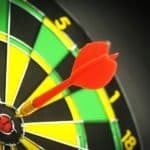 When mapping out your strategy for creating and managing content effectively, it’s a good idea to seek the advice of experts. For example, a good website designer may come up with ways to use your remaining content in creative, effective ways (that you would never come up with on your own). 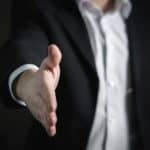 Look to people within your organization and outsiders – folks who have an intimate understanding of your business AND folks who are impartial and more able to view things objectively. As you identify those things that make you feel joy, you will begin to develop a deeper understanding of what you like – and what you don’t like. But mechanics and best practices aside, what constitutes “great content” is largely subjective. When you have gathered all of the content that you like (and ditched the rest) you will start to see commonalities. For example, you may prefer content that incorporates humour. Or you may lean towards content that has a more serious, authoritative tone. Discovering your style is important because people respond positively to content that has an authentic, distinct voice. That voice is your style shining through, and it’s the secret sauce to making great content! A homeowner who throws out all the never-used kitchen gadgets may discover that behind all that clutter, there were no properly sized pots and pans. When you get rid of not-so-great content there are likely to be gaps. Don’t panic! This is all part of strategic planning. Once you have identified your content needs, you will be able to prioritize the development of great content that fills those gaps perfectly! Cleaning becomes easier when you have less clutter. So does content development. Applying Marie Kondo’s principles to the strategic process will leave you feeling more confident and capable about your ability to recognize (and create) great content. Essentially, you will have a better understanding of what “sparks joy” and what doesn’t. Cleaning up your business content and taking control of the content creation process can be as simple as cleaning up your house. 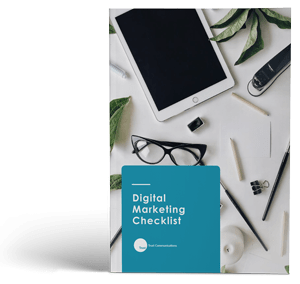 You may find my Digital Marketing Checklist helpful as you move forward. It’s a free resource. Happy to help! Spark interest in your company and your products in 20-30 seconds.